The Knoxville City/County Building is located at 400 Main Street, Knoxville TN 37902; phone: 865-215-2534. Photo: Belcaro, ca. 1923, Belcaro Drive, Knoxville, TN. Home was demolished in 1996. Listed on the National Register of Historic Places in 1975. 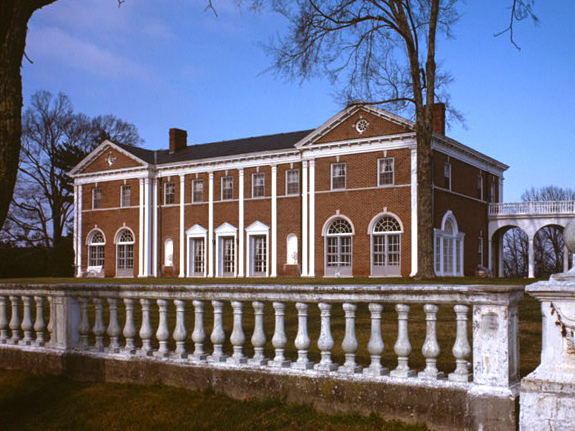 Photographed by Jack Boucher, 1983, Historic American Buildings Survey [HABS TN-112], memory.loc.gov, accessed October, 2013. Knoxville was founded and named in 1791. The constitution of the United States had been in operation three years; Washington had been president two years; and William Blount had been governor of the territory south of the Ohio River one year. The year is significant as that which saw the passage of the first internal revenue bill, the establishment of the United States Bank, and the differentiation of two great political parties based on principles outlined and advocated respectively by Hamilton and Jefferson. February, 1792 has been accepted generally as the date of the establishment and laying off of Knoxville, but as to the exact time much confusion exists. The two oldest and most widely known historians of the state, Haywood and Ramsey, make contradictory statements, each in his own work. Speaking of the Knoxville Gazette, Haywood calls attention to the name and date of the paper, alleging, however, that "Knoxville was not laid off till February, 1792." Farther on, citing the act of the territorial legislature establishing Knoxville, he says, "which had been laid off by Col. James White in the year 1791." Ramsey, speaking of the Gazette, says: "In February of the next year (1792) Knoxville was laid off by Col. White," yet farther on he says: "Some of the lots were sold in 1791, but no considerable improvement was commenced until February of 1792, when several small buildings were erected." The semi-centennial of Knoxville was celebrated February 10, 1842, the date having been arbitrarily fixed. On this occasion the late Dr. Thomas W. Humes was the orator. In the appendix to his published address is a letter from Hugh Dunlap to E. G. Eastman, then editor of the Knoxville Argus, in which he says: "I am the only man, whom I know to be alive, who was living there when the lots were laid off. In February, 1792, Col. Charles McClung surveyed the lots and laid off the town. I do not recollect on what day of the month. It excited no particular interest at the time." The beginnings of Knoxville lay in White's Fort, which was founded by Col. James White upon the extreme border land of the Indian country. He had entered the region thereabout as payment for his services in the Revolutionary war. To reward the valor and heroism of her officers and soldiers in that war, North Carolina gave of her immense domain westward large grants of land for their services, reserving only as hunting grounds for the Cherokee Indians the region included within the Tennessee, French Broad, and Big Pigeon rivers, east to the North Carolina line and south to that of Georgia. Immediately after the passage of this act by the North Carolina legislature, in 1783, James White, in company with Robert Love, F. A. Ramsey, who was a practical surveyor, and others, began an exploration to select the most advantageous regions open for the location of land warrants. This party, beginning its work on the French Broad river not far from where Newport now stands, followed its valleys southwestward to the mouth of Dumplin creek, where they crossed over into the lands lying between the French Broad and Holston rivers. Crossing the Holston several miles above the present site of Knoxville and entering Grassy valley, they examined the lands adjacent to the Holston as far as its confluence with the then Tennessee river, opposite the present Lenoir City, thus passing through the territory which was to include the future Knoxville. It is maintained that this exploration was continued as far down the river as Southwest Point, now Kingston. With the passage of the act of the North Carolina legislature in May, 1783, for the sale and disposition of western lands and with the entry of much of these by May, 1784, in the land office at Hillsboro, the strong tide of emigration from North Carolina poured into what is now Tennessee, thus counterbalancing that influx of population which had hitherto flowed from Virginia. Returning to his North Carolina home Col. White made preparation to move. In 1784 he went to Fort Chiswell, Virginia, where he made a crop. By 1785 he had settled in the new territory. His temporary abode was four miles above the junction of the Holston and French Broad rivers, where he remained only one year. In 1786, joined by an old neighbor and fellow-soldier, James Connor, likewise of Rowan, now Iredell, county, North Carolina, he moved thence, following the water courses downward, and established himself on the north bank of the Holston below the confluence of the two rivers. Here, several hundred yards from the Tennessee River, he built his cabin and fort. Beauty of situation, availability of water power, proximity to numerous springs, and other natural advantages rendered the spot peculiarly attractive. The first clearing, according to tradition, was on ground that now includes the site of the First Presbyterian church, though the monarch trees near by would seem to question the correctness thereof. The cabin, one and a half or two stories high, was erected north of the clearing, between the present Union and Commerce streets. Having regard to the purposes of defense, it stood at one corner on a quarter of an acre of ground quadrangular in shape. Three other cabins not so pretentious occupied the other angles, and were connected therewith by heavy stockades eight feet high, provided with port-holes well arranged for defense. More recent writers upon local history disconnect the fort or blockhouse and the cabin, placing the former on or between the sites of the Palace Hotel and the Hampden Sydney School and the latter on the present site of Mrs. Jane Kennedy's residence, just back of the Imperial Hotel. William Rule, editor, George F. Mellen, Ph.D. and J. Wooldridge, Collaborators, Standard History of Knoxville, Tennessee, The Lewis Publishing Company, Chicago, 1900.